For reservations and information - Call 907-398-3310 7 days per week 7am to 11pm. 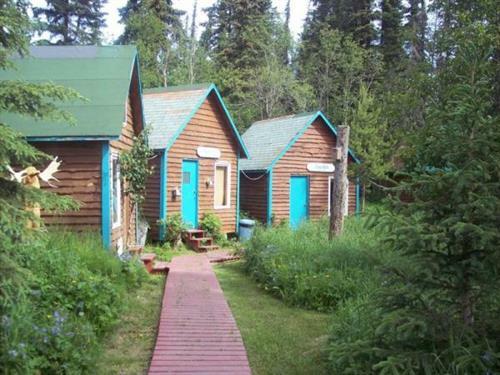 3 cabins available on the Kenai River. Each newly remodeled cabin sleeps up to 5 people (bedding and linens included) with fridge, micro, coffee makers and bathrooms with showers. There is a fully equiped community kitchen and a BBQ and fire pit close by. Come join us to experience Alaska. Call 907-398-3310.